We battle with the weeds, but they always always win. Over time, it's a lesson in patience and the ultimate futility of struggle. 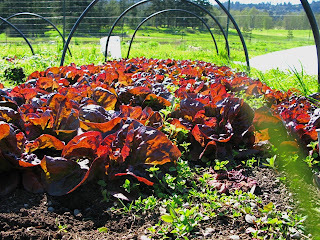 Half weeded bed of lettuce. Hand weeded, by me + a small circle hoe. In all, for both halves... about 2 hours.